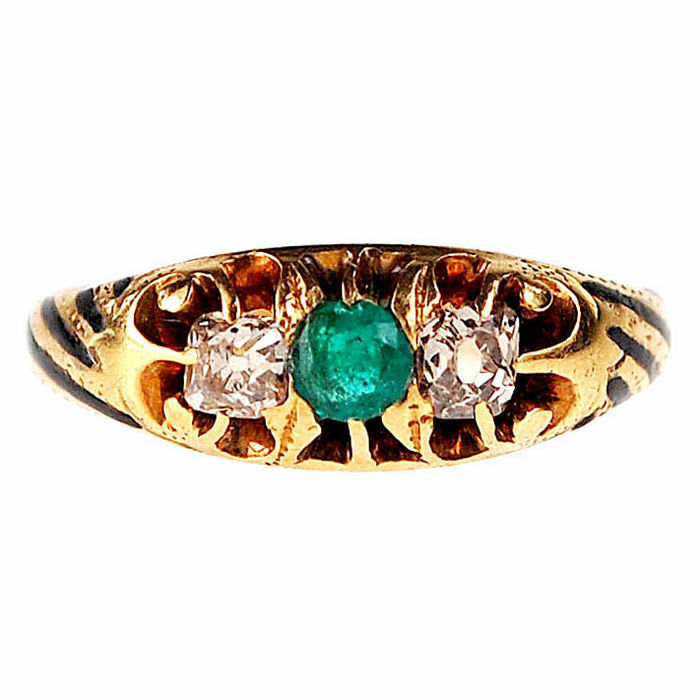 A ring features 0.25ct Cushion Cut Diamonds, 0.20ct Emerald decorated with Enamel in 14k Gold. 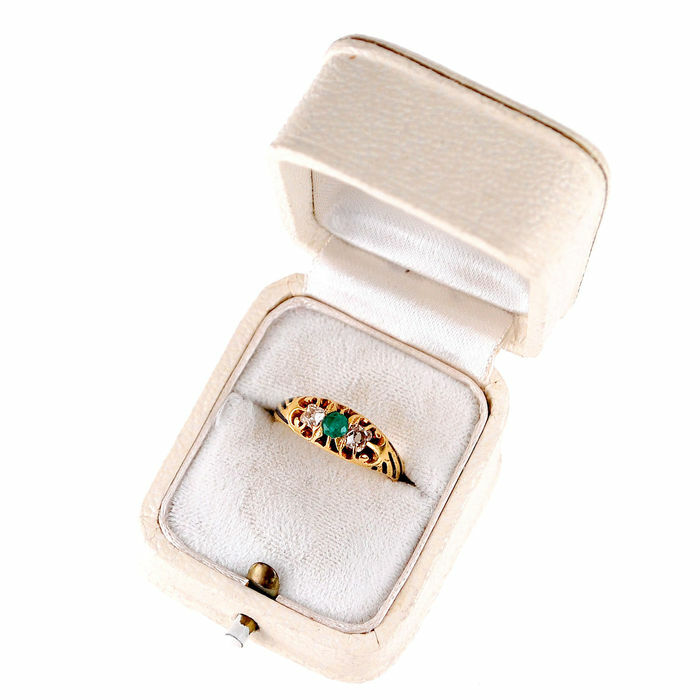 This splendid ring features 0.25ct Cushion Cut Diamonds, 0.20ct Emerald decorated with Enamel in 14k Gold. 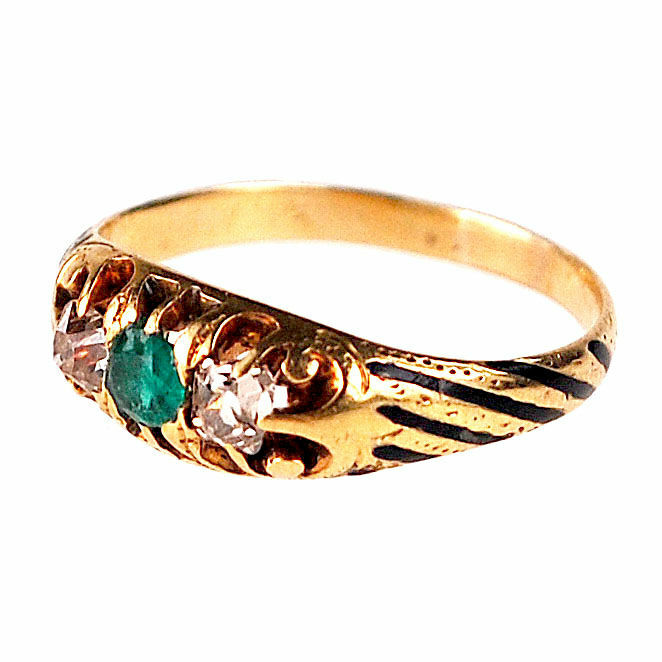 Design era: Early Victorian (1837-1855).